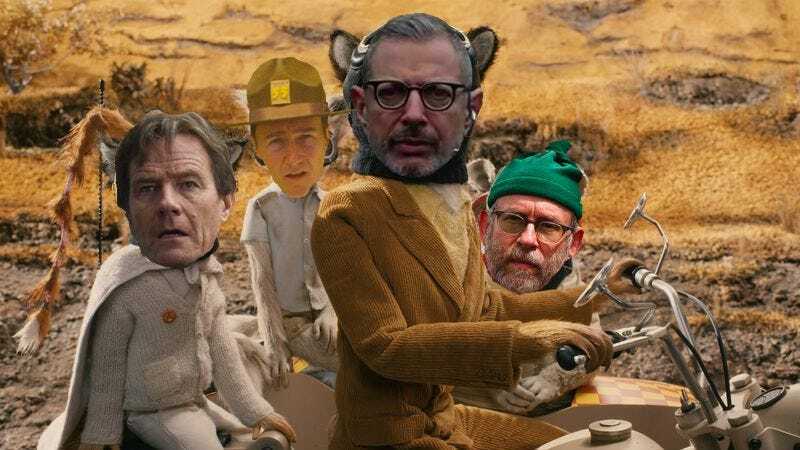 It feels like only yesterday we learned about Wes Anderson’s new stop-motion film, and that’s because it was. The movie, reportedly about a pack of dogs, still has no real plot details. But what it does have is some confirmed cast members, and presumably a twee but endearing sensibility that will work even better for stop-motion animation than real humans. Nerdist reports actor Jeff Goldblum confirmed that he would be starring in Anderson’s latest film, along with Ed Norton, Bryan Cranston, and Bob Balaban. The actors were likely notified by receiving ornate dioramas in the mail, which they had to then assemble by hand, at which point a message announcing their hiring could be read, but only for 60 seconds, until the whole thing turned into a pile of fall leaves, Mission: Impossible-style. Goldblum revealed the news during one of his weekly performances with jazz band The Mildred Snitzer Orchestra, something the actor does every week, because he’s Jeff Goldblum and is tethered to this world only by his own sense of inscrutability. During an audience Q+A, he confirmed the news, possibly with lots of hemming and hawing and pauses in the middle of sentences that would make Christopher Walken envious. He also mentioned the film would be “Japanese-inspired,” though what that means, we’ll leave to the calm and mannered internet fans of Anderson’s work.